ARIZONA HOMEOWNER INSURANCE - Low Cost Insurance!! The # 1 Arizona Homeowner Insurance Broker in Arizona! 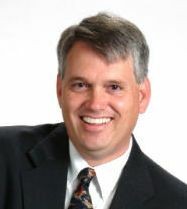 I am Gary Brown, owner of Choice Insurance of Arizona. We are an Arizona Homeowner Insurance Broker that shops and compares insurance for Arizona residents, residents who live in other U.S. states, and Canadian residents. As an Arizona Homeowner Insurance BROKER we shop and compare your insurance with many “A” rated and top ranked Arizona homeowner insurance companies. Usually we can find you a very LOW rate on your Arizona Home Insurance through one of our top rated carriers! Do you want Arizona Homeowner Insurance with a top ranked “A” rated insurance company? Let us shop and compare for you to save you money. We can help with Primary Home Insurance, 2nd/Seasonal/Vacation Home Insurance, Rental Properties. Need new Arizona Home Insurance on a new purchase? No problem. Need Arizona Home Insurance for an existing home you own? No problem. If you live in Arizona, we can help find you a great rate. Even If you live outside Arizona, we can still help. We successully find insurance for clients who live in California, CANADA, Michigan, or elsewhere. Copyright © 2009 (480) 659 - 0229. All Rights Reserved. Theme supporters Homes for sale | Finance Blog | Realty Blog.